A lost freedom.An ephemeral existence.A profound mystery.After Mara and her charges, Reigna and Eden—the ranking twin members of the first family of the Select—discover the twins’ unparalleled magic powers and then move to the palace of the Select at Shimeron, they return to the City of Light. There they train with the Oathtaker forces, preparing a response to the ongoing threat from Zarek, the evil leader of Chiran. But when a traitor in their midst discloses their plans to visit the realm’s border for a closer look, they are captured and imprisoned. Stripped of her Oathtaker’s blade, Mara soon discovers that an unknown power bars her ability to use her attendant magic to escape, or to free the twins. As Mara’s magic dreams endeavor to inform her of events to transpire, as her cohorts labor to decipher ancient prophecy, as the twins learn of the power of a magic artifact they carry, and as Lucy struggles to uncover the traitor in their midst, Dixon’s rescue attempt takes shape. Meanwhile, Zarek’s son—the twins’ cousin, Broden—seeks to assist his father’s prisoners. 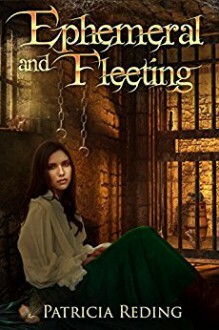 But before he can do so, Mara discovers that the loss of her charges is only one painful outcome that could come to pass. Escape is impossible; survival, questionable; loss, inevitable.And yet . . . things are not always what they seem. It was good,I liked the characters.And the predicament they seem to get into. But the world building is limited.